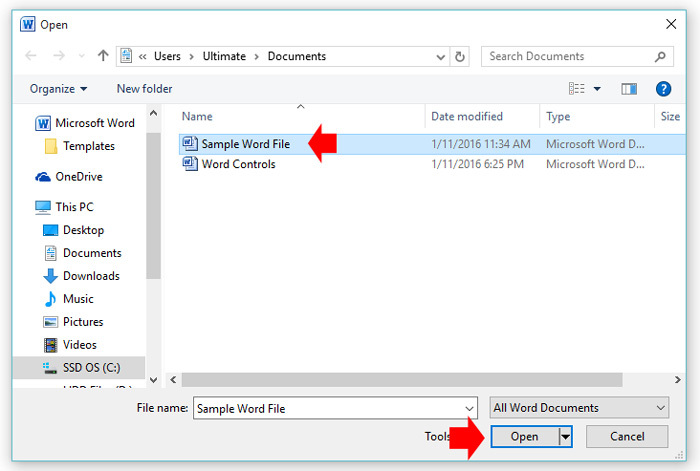 You will learn in this tutorial how to open a Word Document. This is pretty basic, when you double click a document file in word format, it will automatically open to an MS Word program where you can edit if you have a privilege. If you have already opened Microsoft Word program, you can open a word file by going to “Office button” and selecting “Open” in the menu that will appear for MS Word 2007 users. 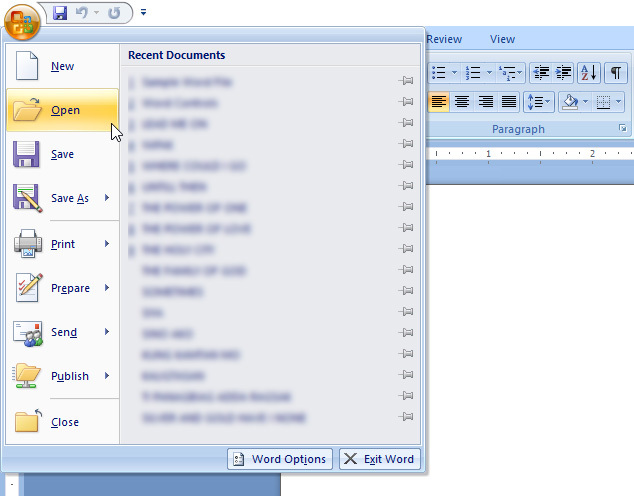 For MS Word 2010 or later version, click the “File” tab and select “Open” in the menu that will appear. Both will take you to “Open” pop up window where you can select your file that you want to open. While the MS Word program is open, you can perform a CTRL+O keyboard shortcut to open a file.